In this program, you try Wood Engraving that represents Japanese traditional wooden craft technique. 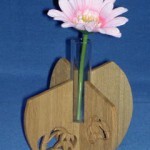 Wood engraving is one of the representative Japanese traditional crafts products. The capital was moved to Kyoto from Nara in the late eighth century, the culture led by a court noble and the noble prospered in Kyoto. Under these circumstances, the technique of wood engraving developed under the influence of techniques of temple architecture and making Buddhist statues. In this tour, you can learn the woodwork sculpture of a tradition technique handed down with landmark architectures and cultural assets in Kyoto and make a work. Our guide picks up you at the lobby of your hotel and also translates craftsman’s instruction in making a work. The instructor is designated as a traditional craftsman by the Japanese government. 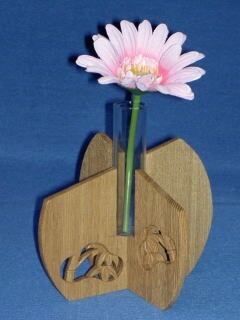 A set of tools for engraving is lent and you will make a single-stalk flower vase (see photo). Of course you can take the work home with you.